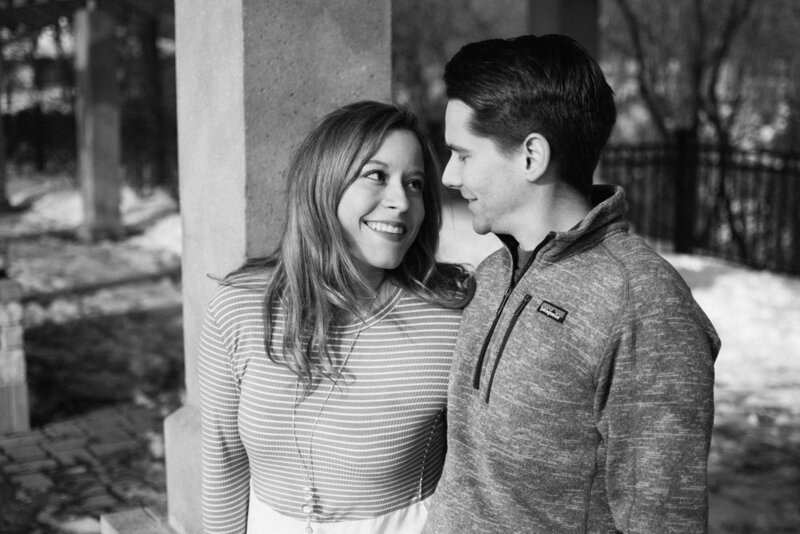 Winter engagement sessions are some of our favorites to be apart of! Allison & Josh met us at Minnehaha Falls in Minneapolis to check out the frozen waves and the beautiful fresh snow from earlier in the week. 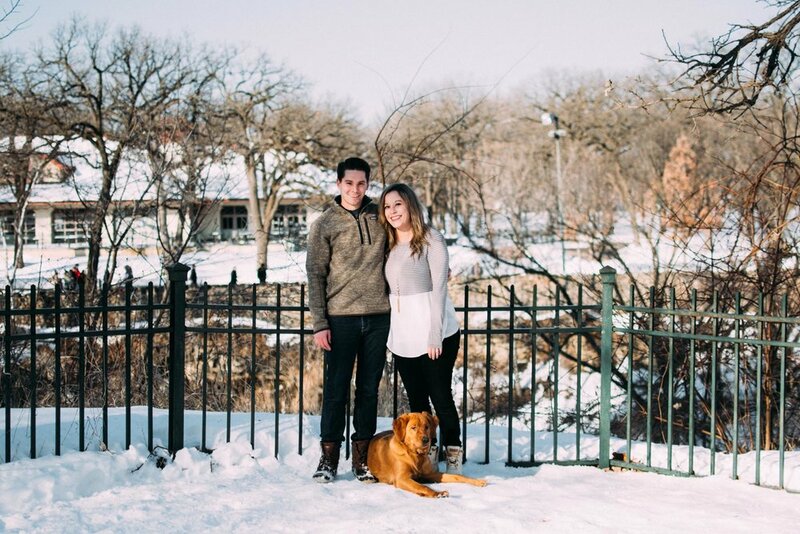 With their gorgeous pup leading the way, Allison & Josh reminisced about their trip to Niagara Falls and about warmer days to make it through the cold of their engagement photos! You'd be surprised at the power of positive thinking when it comes to winter sessions like this - they're simply radiating and don't look cold at all! We are so excited for Allison & Josh's upcoming October wedding in Rochester, MN - keep an eye out on the blog for when we share their big day!